“On behalf of the Tom Petty family we are devastated to announce the untimely death of our father, husband, brother, leader and friend Tom Petty,” said Tony Dimitriades, longtime manager of Tom Petty & The Heartbreakers in a statement. The news of Petty’s sudden death is as stunning as the man’s wide and varied body of musical work. Kind of a cross between bands like The Eagles, with a little Bob Dylan thrown in and some good old three-chord, single-note soloing kind of sounds to round up the mixture, the singer/guitarist had an instant look and style about him right from out of the starting gate. His long blond hair, gangly build, penchant for sharp wardrobe, and a Bruce Springsteen-like kind of command on stage has endeared generations past and present. From his earliest hits with The Heartbreakers like “American Girl” and “Refugee” to later 80s chart-toppers like “Running Down a Dream” and “Free Fallin’” to the work he contributed to the 80s supergroup The Traveling Wilburys (a band that included people like Dylan, George Harrison, and Roy Orbison), to his continued success with countless tours and albums that were still snatched up by the ever loyal and faithful, Tom Petty exemplified a kind of a meat-and-potatoes American rock and roller — unpretentious, true, and coming from the bottom of his soul in a lot of ways. He wrote about the kind of perfunctory themes that permeate most rock and classic rock, but the style of his musical presentment was anything but. He was an electrifying performer, kind of like an old shoe in recent memory, yielding a comfort in knowing he was still around, still performing, and still with the same verve, passion, and energy as when he had first started almost 50 years ago. Born in Gainesville, FL, he was American boy, and we were raised on his promises. He always ran down a dream that would never come to him, but he worked on the mystery, going wherever it leads, running down that dream. He will be missed by pretty much everyone; have you ever met anyone who had an unkind word to say about his craft or his unforgettable songs? Like a Bob Seger, like a Billy Joel, that kind of musical ilk, there’s an American comfort in those artists in a way and their catalogs and how much they have meant and instilled their own ways and lessons into the thrust of our lives and how ultimately the payoff is that they seem personal to the listener, to us. 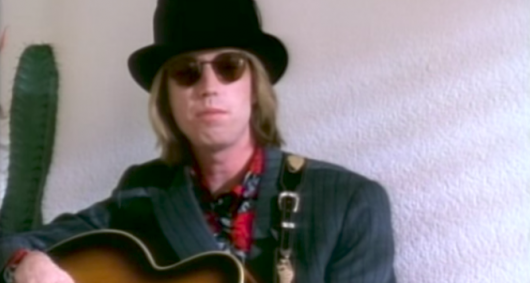 Only the very best music can do that and Tom Petty’s was right there and remains there, in that immortal ether. Rest in peace to a true authentic American musical hero.